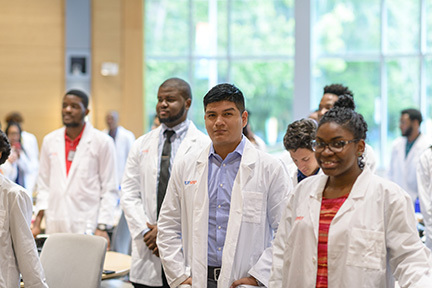 SHPEP’s goal is to strengthen the academic proficiency and career development of students who are underrepresented in the health professions and prepare them for a successful application and matriculation to health professions schools. 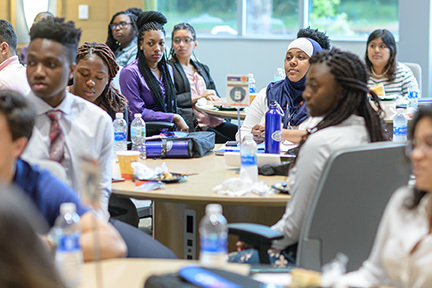 The six-week program will take place on the University of Florida campus, with on-campus room and board. We are very excited to offer this opportunity and hope this will be an informative experience for students interested in the health sciences. 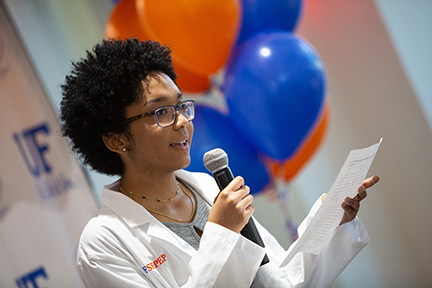 With 13 SHPEP program sites across the nation, what makes UF exceptional? 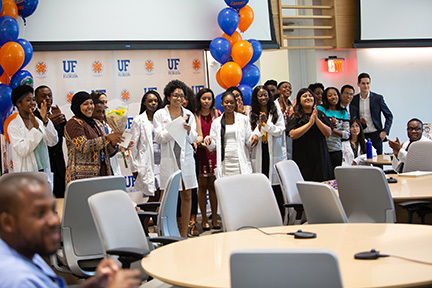 We stress the importance of interprofessional training in a unique way specific to the University of Florida SHPEP site. 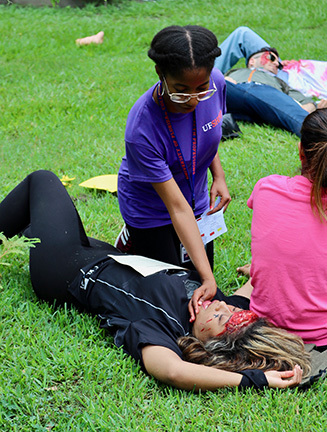 Scholars are given the opportunity to participate in a disaster drill/mass casualty simulation with all six health colleges. 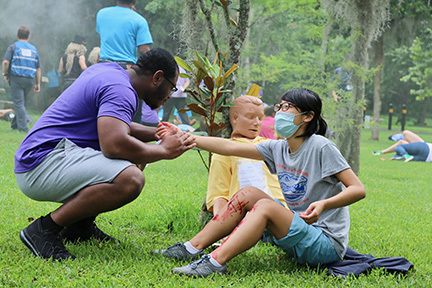 Health professionals in emergency medicine, pharmacy, county first-responders, and various faculty members and students in the colleges come together to give the UF SHPEP scholars a hands-on learning experience with emergency situations. *WARNING* Fake but realistic wounds and make-up used during this simulation. The general lively spirit of UF’s campus and so much more! Can I participate in SHPEP if I am a junior or senior in college, or if I have already graduated from college? No. SHPEP is exclusively for current freshman and sophomore college students. I am a freshman and have not received my grades yet. Can I submit my high school transcript? High school transcripts are not accepted. If you are a freshman and you have not received your first semester grades, please allow them to be finalized before you submit your transcripts. Can the recommendation be submitted by a previous employer or high school teacher? 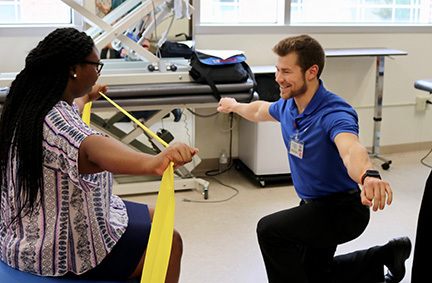 If a recommendation cannot be submitted by a pre-health advisor or college professor within your major, the National Program Office will accept one from an employer who is within a health professions field, or from a science high school teacher. I am applying online and I see medicine, pharmacy, dentistry, and public health as my career path choices. I am interested in another career in health, what do I do? 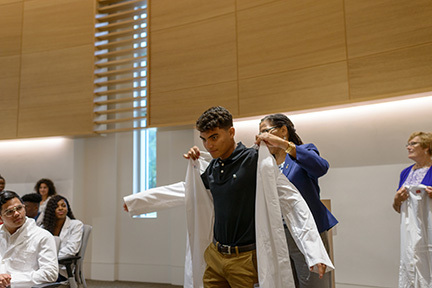 While students choose from four main concentrations — Medicine, Dentistry, Pharmacy and Public Health — selected students will be given the opportunity to learn hands on about veterinary medicine, nursing, physician assistant and a number of health professions such as clinical and health psychology; speech, language and hearing sciences; health administration; occupational therapy; and physical therapy. It is at the student’s discretion which concentration they choose when applying. Am I able to participate in SHPEP and attend classes over the summer? 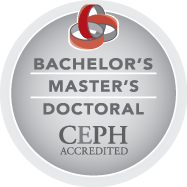 SHPEP is a full-time commitment with pre-planned days of curriculum, activities and rotations. Students’ full participation is required during the course of the program dates. 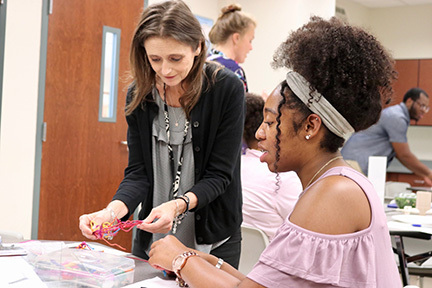 Should summer courses be offered following the program, the student is free to enroll and attend, however during the program, attending classes may not be an option. Will meals be provided during my time at UF SHPEP? Dining debit cards are provided to all scholars to use at the University of Florida’s dining locations on campus. All dining locations are open seven days a week. I don’t have health insurance. Is there a UF health insurance option for successful applicants? 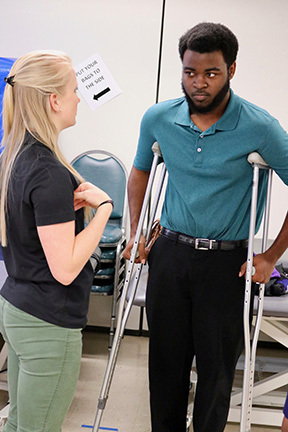 If a scholar does not have insurance, a limited insurance plan will be purchased by the UF SHPEP program for that scholar. Will I have free time to explore Gainesville? 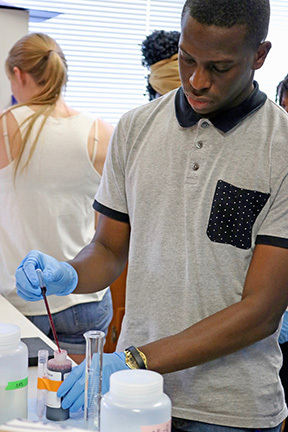 Scholars have a full menu of extracurricular activities to enjoy. 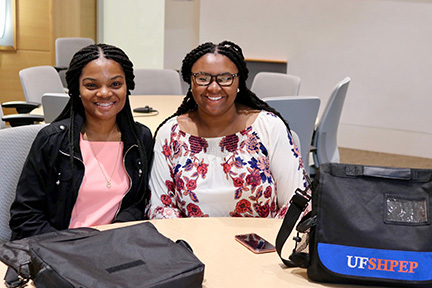 Possible adventures include touring UF museums, attending talent shows or social gatherings with professional students, kayaking, playing disc golf or volleyball, swimming, tubing, bowling, and going to movies or outdoor concerts. Is housing provided? Where will I live during UF SHPEP? Scholars stay in dormitories located in the center of campus free of charge. Should I bring a car? How will I get around? Dorms are a 10-minute walk from the UF Health Science Center. Scholars also have free access to the campus and city buses. Will I receive aid with travel expenses to Gainesville? Travel expenses will be compensated. What is the stipend amount? Scholars will receive a $600 stipend. Is there a cost for attending UF SHPEP? No. Students will be provided with housing, meals and a stipend for the six weeks. Who should I pick to write reference letters for me? This should be someone who knows your academic and personal character. Ideally, a pre-health advisor and/or a college professor. If none of these persons know you well enough, a high school science teacher or a local health professional who knows you well is acceptable.